Hello and welcome back to Early Bird Breakdown. 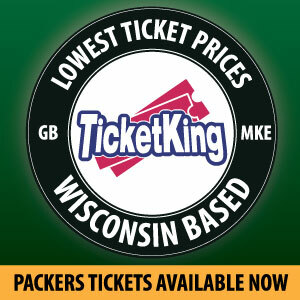 It’s the fifth week of the season and the Packers already have their third home game of the season. Before diving into the breakdown, let’s look at the recap for last week’s game. The defense showed up in a big way last week for the Packers. For the first time since 2010, the Packers’ defense completely shut out an opponent from scoring. The offense in the first half did well but slowed significantly in the second half. Thanks to the shutout though, the offense was not needed and the Packers easily won 22-0. While the Packers and Rodgers have downplayed his remarks since the press conference, this is not the only time Rodgers has publicly criticized the play calling by Mike McCarthy. Normally I would side with Rodgers regarding this but McCarthy’s hands might be tied this week. Randall Cobb is officially out for the game, and both Davante Adams and Geronimo Allison are also questionable. While a questionable grade does officially mean 50/50 for the liklihood of playing, I expect Adams to suit up but Allison likely will sit unless he passes a last-minute concussion protocol. On the other side of the field, Detroit is currently employing an odd, “break but don’t bend defense,” ranking 8th in yards given up but 24th in points given up. The Packers should have opportunities to score in this game so despite the injuries and playcalling concerns, I expect the Packers to put up more than the 22 points they did last week. 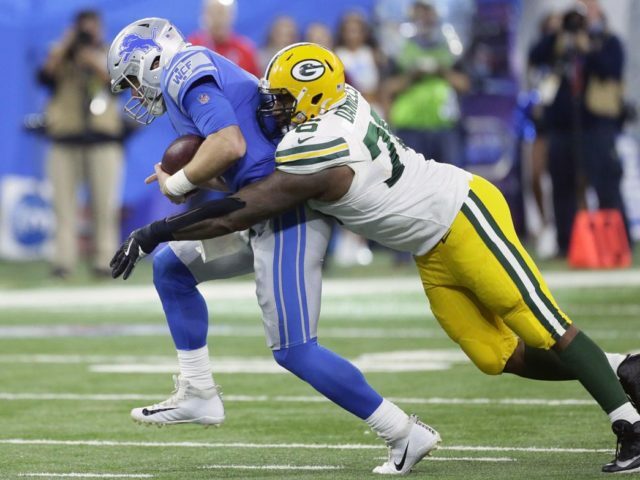 While the Packers defense looked incredible last week, the Lions will be a much tougher test than playing against the least-NFL ready of the starting rookie QBs in Buffalo’s Josh Allen. While Stafford does already have five interceptions through only four games, he still is a quality quarterback who will pressure the defense more than Buffalo did. The Lions are currently 11th in total offense, which to put into perspective the Packers are 17th. The Lions play very balanced, ranking in the top 20 of both passing and running leading to their overall rank, so there is nothing specifically to take away. They also spread the ball well in the passing game, with Golden Tate, Kenny Golladay, and Marvin Jones Jr. all with very similar numbers. None are match-up-nightmares, but it also means it is not worth it to try and build a game plan to take one weapon away as the extra coverage is wasted giving more space to the other two. It also does not help that corner Jaire Alexander has been banged up all week and listed as questionable for this game. However, he has been to all of the practices this week so like Adams I expect him to give it a go this week as well. Detroit plays in a dome so weather is not a factor. Normally games between these two always seems to come down to the difference between Rodgers and Stafford. While that still remains present, the biggest difference should be the differences in these defenses. Defensive coordinator Mike Pettine has the Packers defense rolling and the Lions are looking lost after a 1-3 start. I expect the Packers defense to hold the Lions down, and hopefully a more open playbook for the Packers offense results in an early lead forcing the Lions offense to be less balanced between the run and the pass. If so, the Packers should be able to force a turnover or two from Stafford and the Packers come out on top. Packers win 31-21. This entry was posted in Early Bird Breakdown, Stuart Weis, Uncategorized and tagged Aaron Rodgers, Davante Adams, Detroit Lions, green bay, Jaire Alexander, Matt Stafford, Mike Pettine, Packers, Randall Cobb. Bookmark the permalink.